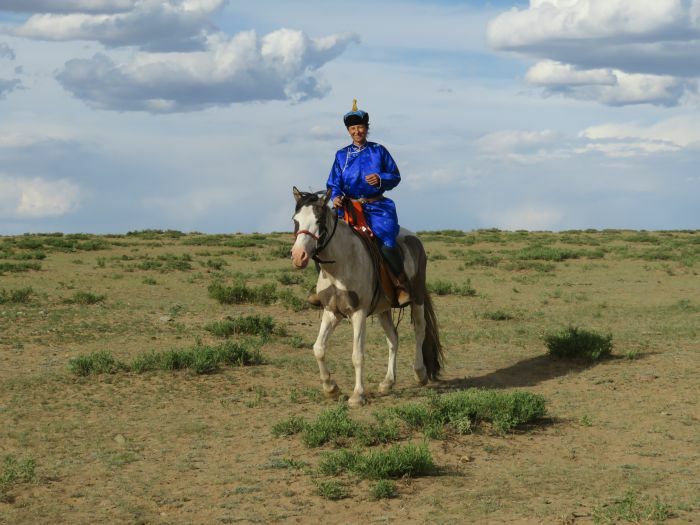 A horseback journey across the Mongolian steppelands is an experience not available elsewhere on Earth. Steppe habitats once made up 25 percent of the global land area. Today the Pampas, the puszta, the Prairies and the Ukraine have largely been developed for agricultural output. Only the Mongolian steppe has survived. The high elevation of Mongolia creates unusually clear air-all the year round. It is an overwhelming visual experience of emptiness and vastness to ride across the completely silent treeless steppe, completely devoid of any fences. Stretching away into the distance: no trace of human activity except for the pastoralist´s - themselves and their herds. Day 1: Arrive at the Mongolian capital and transfer to the hotel. Tour briefing after dinner. Day 2: A.m. Drive south and continue across the steppe to a place in the middle of nowhere. Pitch camp by nomad horse- breeders. Selection of horses. Briefing and short ride. Overnight in tents. Day 3: Today we will start our ride across the steppe for 20km. Gobi high altitude fauna such as argali sheep are present in the hills and rocks, and quite possibly, if lucky, may be seen during this day. Moreover, small herds of gazelle may be seen on the steppe, and perhaps some wolves. 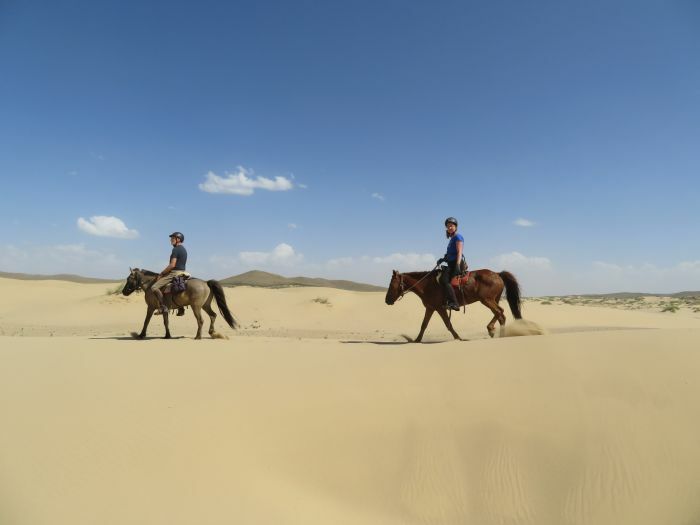 Day 4: Full day 20-25km ride across the steppe to smaller sands. It is a small sand dune which has cut its way through the steppe, as if moving by itself, but it is actually pushed by strong winds towards the east. We continue the ride. Day 5: Our ride now continues across the steppe. We ride to the uninhabited areas of Gobi, where there is a small spring and some spectacular rock formations, and where it is even more likely to spot argali sheep. Our campsite has the rocks as a backdrop which potentially become “Flaming Cliffs” at sunset. Day 6:Continue riding east, passing a small Gobi lake, Hariin Nuur, with perhaps some interesting birds. The distance is 25 km to the smaller – but still impressive – Baga Zorgol Hairhan Mountains and rock formations. The lakes act as “islands” for waterfowl flying across a “sea of grass”. Pitch camp here and scan the ridges of this spectacular rock wall for Siberian ibex (Capra sibirica). 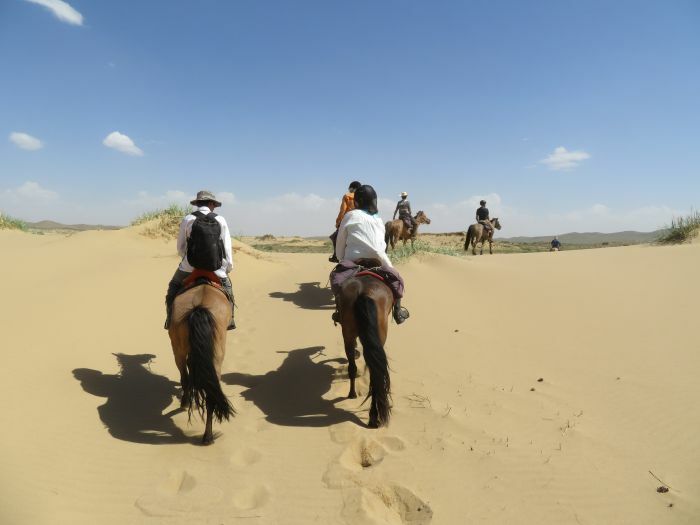 Day 7: The Gobi steppe in this area is quite variable since we ride through the transition zone of the Gobi, meaning there is true steppe, semi arid steppe, sand dunes and also giant rock formations. Today we will ride for 25-30 km across populated steppe and for the full day we can see the Zorgol Hairhan giant rock formations in the distance. They are several hundred meters high, and are the central feature in the middle of the steppe. Day 8: We will reach our semi-permanent ger camp, which is situated a next to a beautiful wooded meadow on the upper parts of the Tuul River. We will overnight for two nights, making a superb last day ride in the area. 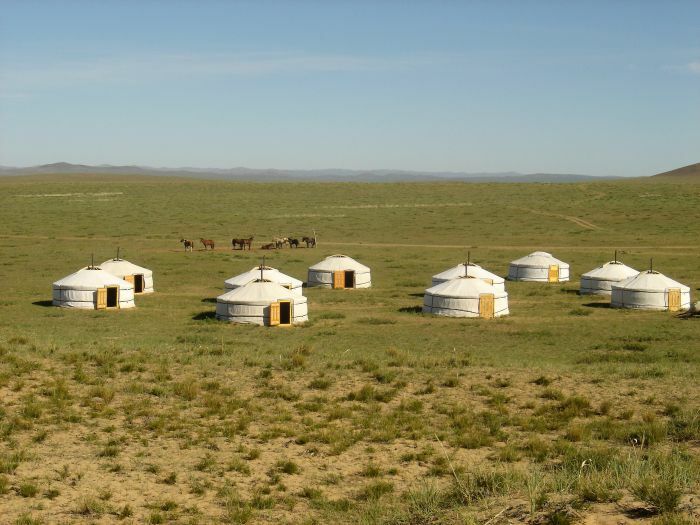 Day 9: Today we will pass several nomadic herder families. The human occupants of this open and vast landscape are perhaps the most interesting, since all families in the area are nomadic herdsmen. Overnight at Ger Camp. Day 10: The ride today is a short one. We will be riding right through the Sahara-like landscape. Overnight at Ger Camp. Day 11: A.m. return drive to Ulaanbaatar. Check into the hotel. Free in the city. Day 12: Transfer to the airport, railway station or your next Mongolian destination. Horses: Mongolian horses 1,52 m.